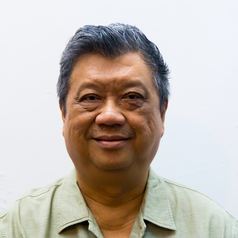 Dédé Oetomo is a Founder and Trustee of GAYa NUSANTARA Foundation. He currently also chairs the Regional Advisory Group of the Asia-Pacific Coalition on Male Sexual Health (www.apcom.org), and is also a member of the Advisory Council of the Coalition on Sexual and Bodily Rights in Muslim Societies (www.csbronline.org). He received his PhD in linguistics and Southeast Asian studies at Cornell University in 1984. He is also an adjunct lecturer in gender and sexuality at the Faculty of Social and Political Sciences and the Faculty of Humanities at Universitas Airlangga. He received the Felipa da Souza Award from the International Gay and Lesbian Human Rights Commission in 1998.